Oxfam Trailwalker 2018 – Donate today! I want you to cast your mind back. No, further. It was primary school, you were a child. The walk to school was uphill in both directions in 50-degree heat. Sound familiar? Welcome the Oxfam Trailwalker. 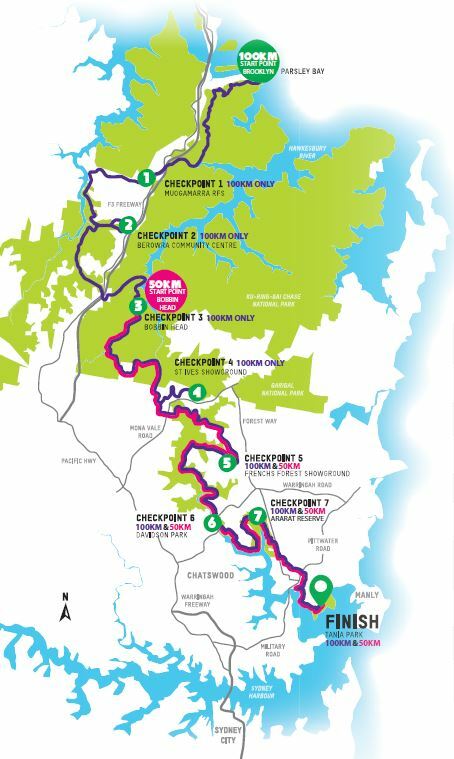 A 100 kilometers and 48-hour walk from Brooklyn north of Sydney, through mountainous terrain, bushland, traversing the Hawkesbury Walking Track to Sydney Harbour. It’s hilly, it’s hot; it’s picturesque, it’s terrifying. Naturally, you sign-up. The strategy is simple: you start, and you don’t stop. Just a relentless, hypnotic, propulsive trajectory from start to finish. Sleep when you’re dead. The Proclaimers may have walked 500 miles, but it’ll take you just 100 kilometers to fall down at the door. When you first sign-up you’re seduced by the gorgeous terrain and outlooks. It’s at once bushland and bayside. It’s steep rocky trails and sandy river beds. Long misty walks in eerie bushlands give way to pristine, unspoiled bayside. With each stride the gurgle, hiss, and babble of the creeks your colleagues’ only constant companion. You get away from the everyday, you learn about each other’s passions, and foibles, as you learn about your own. This isn’t a journey to Sydney, this is a journey into yourself. empowering and promoting a culture of individual philanthropy. This may be a small step, but even this journey of 100 km starts with that first fateful step. You can want the world to change for the better, or you can be part of that change. Choose the latter. You’ve relied on our support, now we’re relying on yours. Help our team raise funds to support Oxfam’s efforts in 90+ countries, donate today! Or call to discuss co-branding options. At the time of writing the team total is $910. Which means Oxfam can provide five women and ten children with shelter, food and water for one week in an Oxfam-supported safe house in Papua New Guinea, keeping them safe and free from violence. $1400 Can go towards constructing two school vegetable gardens in South Africa, to grow nutritious food for children living with, and affected by, HIV and AIDS. $2,500 Can provide 80 families in Timor-Leste with gardening food and support themselves with nutrition and income. $5,000 Can pay for educational materials for 2,000 Zimbabwean students living with disabilities in tertiary institutions, in order to raise awareness and provide information on health services.